If you’re writing posts for your blog, you want an audience. Nobody wants to perform in an empty room! Ranking high in search engines by doing your SEO flawlessly will, of course, help. But you can do more! In this post, I’ll give you lots of blog marketing tips to make sure your audience will grow and will keep on growing! Marketing has to do with increasing the number of people who know and like your company, your products, your brand. In order to do successful marketing, you should always choose marketing strategies that fit the mission of your website. Your mission, the thing that makes your company or your website so unique, should always be reflected in the content of your marketing. Marketing should also fit your brand. Branding is the way you want to present your company to the world, visually or in the way you communicate. It could even be in the way you make your products. Perhaps you want your brand to be hip and young, or you’d rather come across as traditional and solid. Branding is a matter of personal taste, and most importantly, branding should reflect your mission. 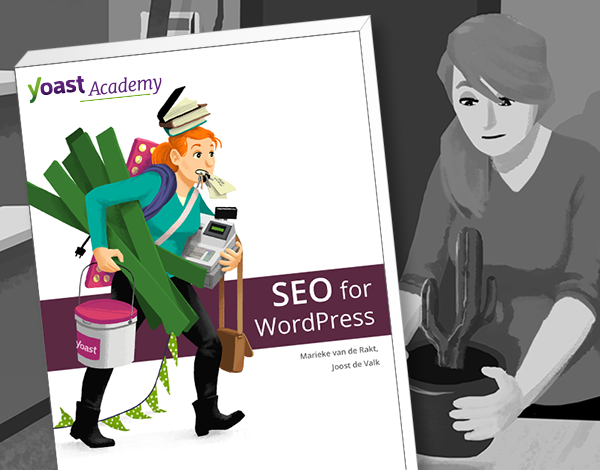 The mission of Yoast is (in short) to help people optimize their website. Yoast offers free and premium products in order to fulfill that mission. In our Facebook and blog posts (our main marketing channels) we always keep in mind our mission. The type of posts should fit our mission and our brand. That does not mean that every post we write is about optimizing websites. Especially on Facebook, we also share posts about our office life. We make sure that these posts fit our brand; We’d like to come across as enthusiastic, young, hardworking and fun. We post pictures of the Yoast team doing sports, having lunch or building LEGOs together. We feel that these kinds of pictures fit the brand of Yoast. We would never place party pictures of drunk or promiscuous Yoast team members, as we feel these wouldn’t fit the Yoast brand. The first step in marketing is to find out what your audience looks like. Who are your visitors? Where are they from? Who do I currently engage with with my blog posts? In order to answer these questions, there are different kinds of research you can do. Google Analytics could give you some great insights. And, how about conducting a survey? Once you have a clear view of what your audience looks like, it’s much easier to reach them on (for instance) social media. Tip 4: Think about new audiences! It could well be that your current audience consists of exactly the kind of people you want to have on your website. Your growth question will then be: where do I find more of these people? It could also be that your current audience and your desired audience are somewhat different. Your growth question will then be: where do I find my new audience? Having a clear vision of the people you want to reach is important for every choice you’ll make concerning marketing. Trying to reach a 30+ audience via Snapchat is simply not a good marketing strategy. Both the content of your blog posts, as well as the channel you choose should be adapted to the audience you are aiming to reach. Tip 5: Comment on other blogs! A very good way to get exposure for your blog is by reacting and commenting on other blogs. Make sure to adapt the choices of the blogs you comment on to the audience you would like to address. If you read something interesting on such a blog, something you may have written about yourself as well, you should comment. In the comment, you should share your view on the matter. You could also place a link to one of your own blogs. If you have a budget, you could also decide to place ads on for instance Facebook or Google to promote your blog. Facebook also has the possibility to boost your post, making sure it’ll get more exposure. Facebook actually allows you to really focus on the demographic you would like to reach with settings for age group, location and interests, making it quite easy to target your desired audience. An SEO strategy can really help to make the audience of your blog grow. Besides that, blog marketing strategies could make your audience grow even more! Mind you, growth does not equal more money. Your audience can grow, but the revenue of your site might not. If you want to make money with your blog, there’s a whole lot of different things you could do.